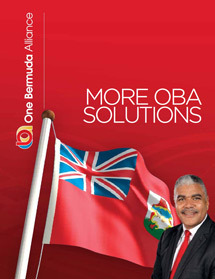 The One Bermuda Alliance (OBA) is the ruling political party in Bermuda since December 2012. It is a result of a May 2011 merger of most members of Bermuda's two main opposition parties, the United Bermuda Party and the Bermuda Democratic Alliance. 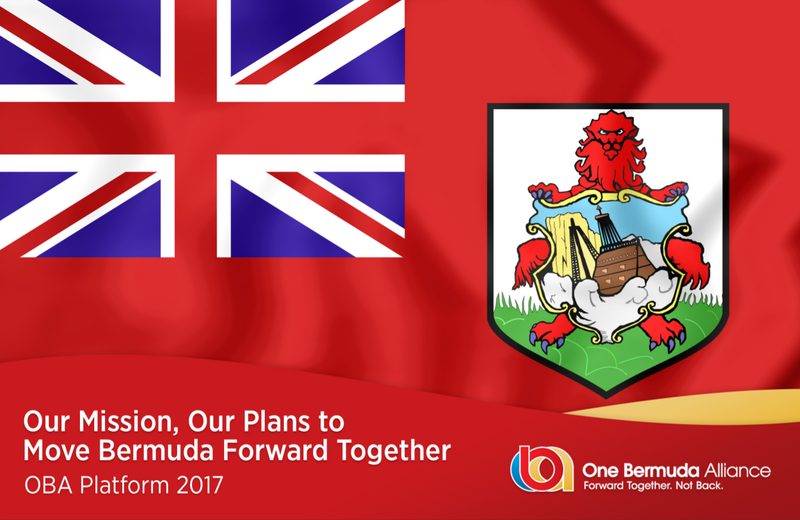 The United Bermuda Party (UBP) was founded in 1964 and won every Bermuda election until 1998, when it lost to the Progressive Labour Party. The UBP remained the official opposition party until 2011. The Bermuda Democratic Alliance (BDA) was formed in 2009 by breakaway members of the UBP that believed only a new party could win support from the PLP. It contested one by-election in December 2010, placing third behind the PLP and UBP, with the PLP retaining about the same support level that it had in the 2007 general election. Concern that vote-splitting among the two opposition parties would result in an easy victory for the governing PLP prompted the BDA and UBP to enter merger talks. The initial intention of UBP and BDA negotiators was to formally merge the two parties, but when UBP leader Kim Swan sought an injunction to block the merger, seven sitting MPs of the UBP quit their former party and joined the three BDA members to become Bermuda's new official opposition on 17 May 2011. The party held its inaugural leadership convention on 10 September 2011, where the former BDA leader, Senator Craig Cannonier, narrowly won the party leadership over challenger Everard T. (Bob) Richards, the party's shadow finance minister. The party won the 2012 elections, taking 19 of the 36 seats in the House of Assembly.